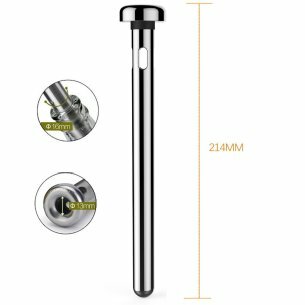 Kollea beer sticks are made with advanced cooling technology and high quality of stainless steel cooling liquid itself inside, these two key components make your cold drink stay cold up to 30 minutes! 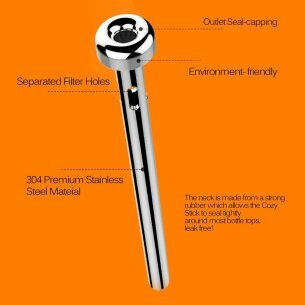 The neck is made from a strong rubber which allows the Cozy Stick to seal tightly around most bottle tops, leak free! Awesome for Backyard BBQ's, Parties, Game Night and or any of your Celebrations & Gatherings! 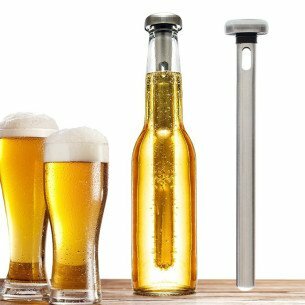 Kollea beer chillers are 100% FDA compliant, eco-friendly and BPA free so welcome for the celebrate day! 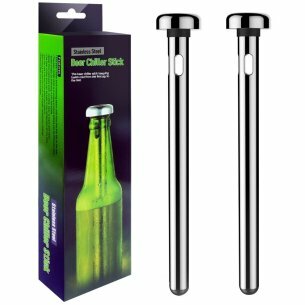 And unlike ice cubes, the beer chill stick will not water down your soda pop, beer or any other beverage! It fit for most standard long neck beer bottles, at least 8.5" tall, and drink right through it. Also it works awesome in plastic water bottles!